Baby quilt patterns are the perfect answer to the beginning quilter. Not only do they make a beautiful infant’s room and a perfect shower gift, but the size is also much easier to manage than a king size bed. Baby quilt patterns actually vary in size. Before you choose a size, consider how it will most likely be used. The American Academy of Pediatrics actually recommends that infants sleep in a bare crib, so no covers. 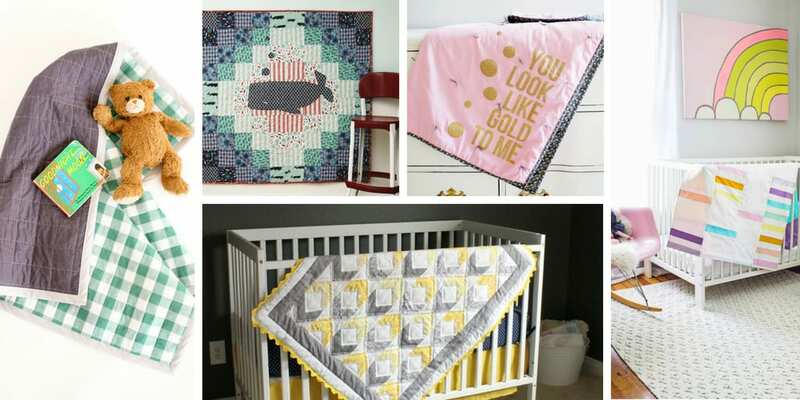 But many nurseries have a quilt as part of their decor and for snuggling baby. The most common size for baby quilts is 36” by 52”. It is long enough to cover a crib mattress with some drape for a pretty effect. It is also nice that the size will allow for the baby to grow and still use the quilt they received, even when the child is old enough to begin sleeping with covers. 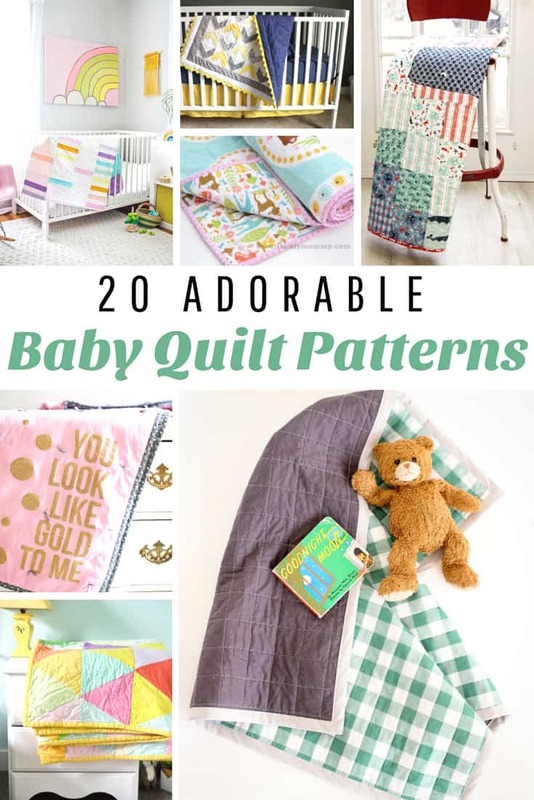 One of the ways, I most used my baby quilts with my kids was on the floor when then were really small and learning to raise their heads, roll over, and crawl. They also made great nap pads around the house. And the pretty colors and patterns really kept my baby’s attention. Precut fabrics can make quilting a lot easier and a lot more fun for beginning quilters. You still get all the fun of creating the design without all the work of cutting or worry about choosing fabrics that work together. My mother received a homemade quilt when I was born. I was always so meaningful to me – even as a child that someone took so much time and effort to create something special for me. The quilt was made with 4 big blocks and coordinating teddy bears on each block. I am in my 40s and that quilt is one of the 3 items I have kept from my childhood. There is something really special about sewing your good wishes and love into the stitches of a gift. 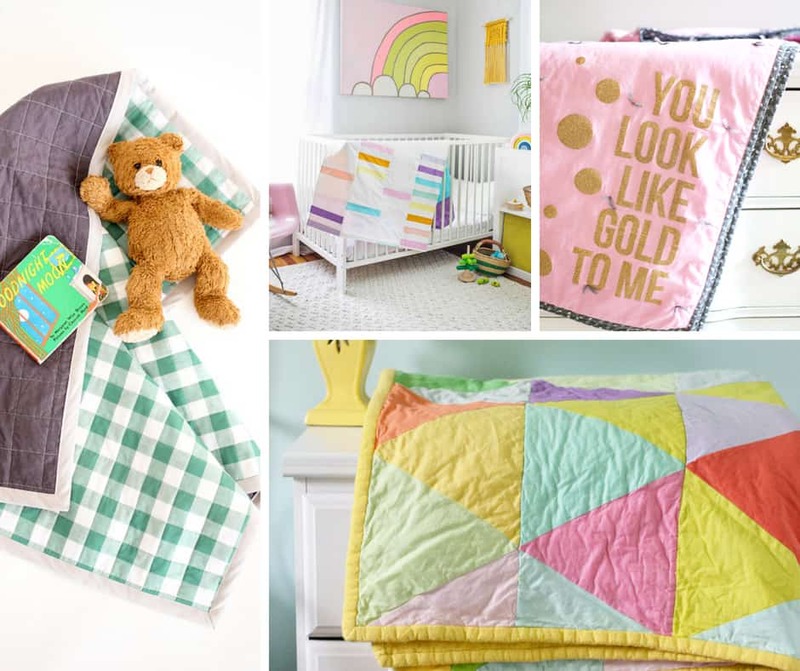 Even if you have never quilted before, a baby quilt is a perfect place to start. Looking for more quilting ideas? 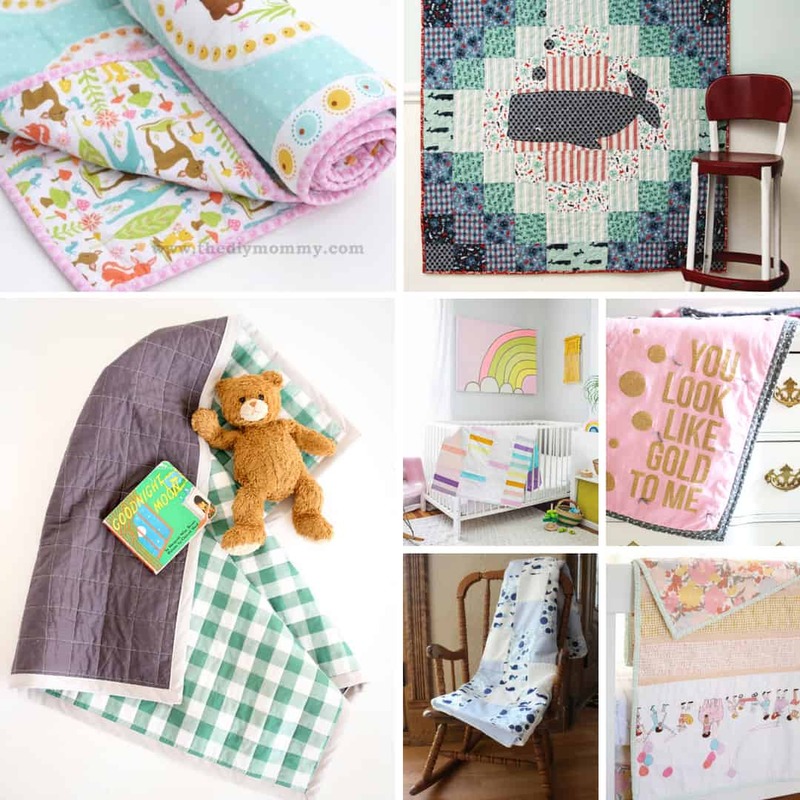 Check out these quilt ideas too!